Vlc media player is back after a two-years hiatus for ios, Supporting both iPhone and iPad. 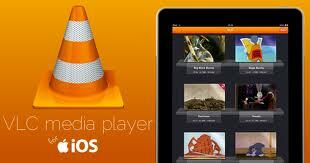 Vlc media player is one of the best media player. It can play almost all format of audio and vieso files. Due to the Licencing problem of Vlc with apple, it was pulleed from App store after few months of the launch of Vlc in October 2010. But now all the Licncing problem has been settle down and the app is now currently being rolled out for iOS. Some new features has been added like AirPlay support, network streaming, background audio playback, subtitles support, video filters and Dropbox integration. And as it is open-source project so you will get free of cost. And for the developer they can get the source code also. So download it for your apple device now.